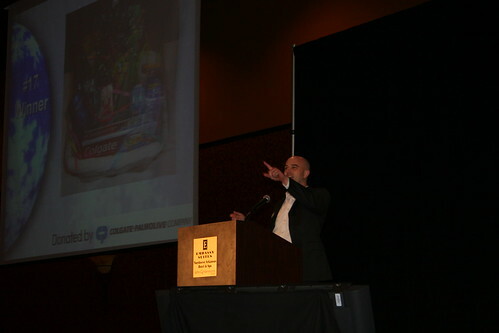 A few weeks ago, I was asked to help emcee the 2009 Retail Link Users Group Annual Banquet. It was definitely a unique learning experience for me. Lots changes to the program mid-stream meant we had to improvise and make things appear to run seamlessly. I’m very comfortable delivering a prepared presentation to a group, but trying to ad lib in front of 500 people is definitely not in my comfort zone. I’m not sure how successful I was at emceeing, but I’m definitely thankful to the RLUG organization for the opportunity. Below are a couple of photos from the event (Thanks to Jacob for taking them!). We saw these Marlboro packages at the Cancun airport on our way back from Mexico over Christmas. Interesting, isn’t it? I mean, how many products can withstand a huge label warning people that the product will kill them? I wonder how (or if) this packaging affects sales for Marlboro. It obviously did not stop people from buying them duty free in Mexico. We saw several people with them at the airport. As a society, we are well aware of the research and statistics on smoking. We know it causes all kinds of cancer and other health problems. 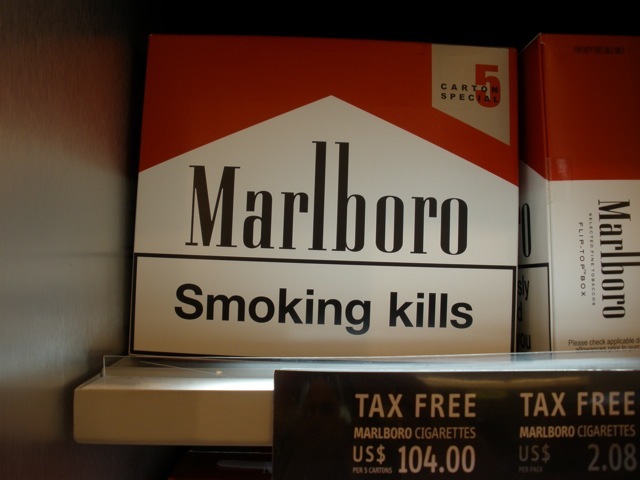 For Marlboro, I’m sure this is a move to sling off lawsuits and watchdog groups. This brings up another idea I got from a friend about marketing a business like a crack dealer. But I’ll save it for and upcoming post! This is an incredible short film made by The DuckDuck Collective. They spent 30 days traveling to 30 cities filming stories of people around America. This film is a compilation and summation of that journey. 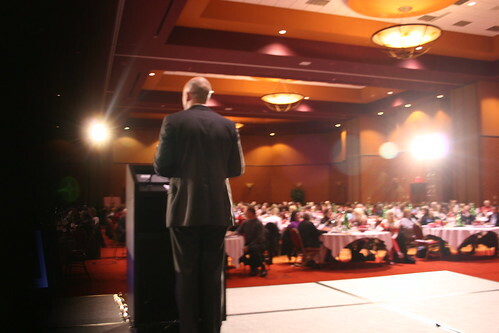 So, I’ve been asked to help emcee the 2010 Retail Link Users Group (RLUG) Annual Banquet this Thursday. I really think they just couldn’t find anyone else! I have the privilege of being a co-emcee with Tom Verdery, our Executive in Residence and former Global Training and Development Manager for P&G. Anyone going to be there?